Elves have surged in popularity because of movies like "Lord of the Rings" and "Harry Potter." It's likely that somewhere down the road your kids will want to dress like a Christmas elf, a beautiful fairy or a character from "Star Trek." In any case, making elf ears out of paper is a simple and child-friendly craft. Put the ears in your child's dress-up trunk so she can be pointy eared any time. 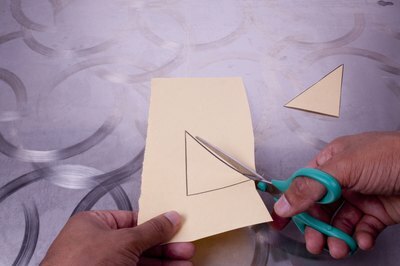 Draw two triangles on a sheet of manila paper. Outline smaller ears for Christmas elves and longer, pointier ears for fairies. 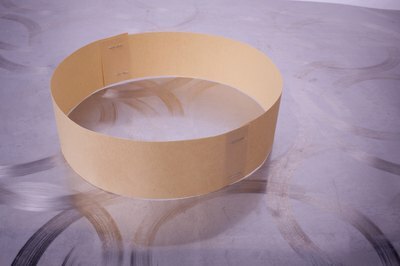 Cut the manila paper lengthwise to form a long strip about an inch wide. Hold it around your head and measure how long it needs to be to fit comfortably around the top of the head like a headband. Trim the excess. Decorate the ears. Add some curves to look like real ears or color them. Tape them to the headband, one on each side. For another way to attach the ears, take a plain plastic headband and tape the ears to that.